Join us for a night of music, movement, and fun. 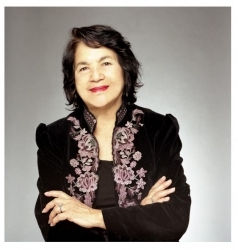 Come learn about the work the Dolores Huerta Foundation is doing with Cultiva la Salud to promote a healthy community through nutritious eating and active lifestyles. 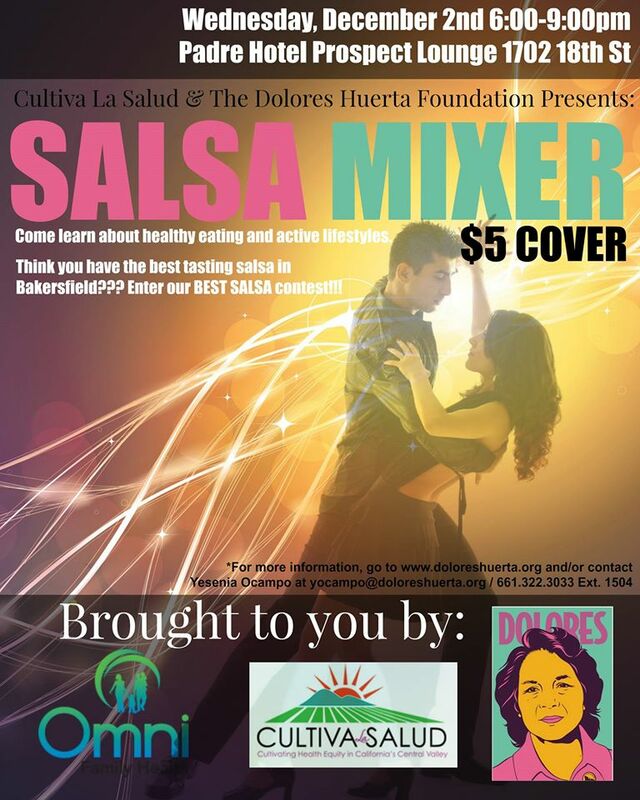 Think you have the best tasting salsa in Bakersfield??? Enter our Best Tasting Salsa Contest! A special thanks to our sponsor Omni Family Health. Participants are responsible for supplying all ingredients needed to prepare the salsa at home. Minimum of 1 quart (32 ounces) of salsa for the event per entry. The salsa, including all prep work, must be done at home. ***No Entry fee. Participation is free. Best Practices: Keep salsa refrigerated as much as possible. Make sure to wash your hands with hot water before, during and after salsa preparation. 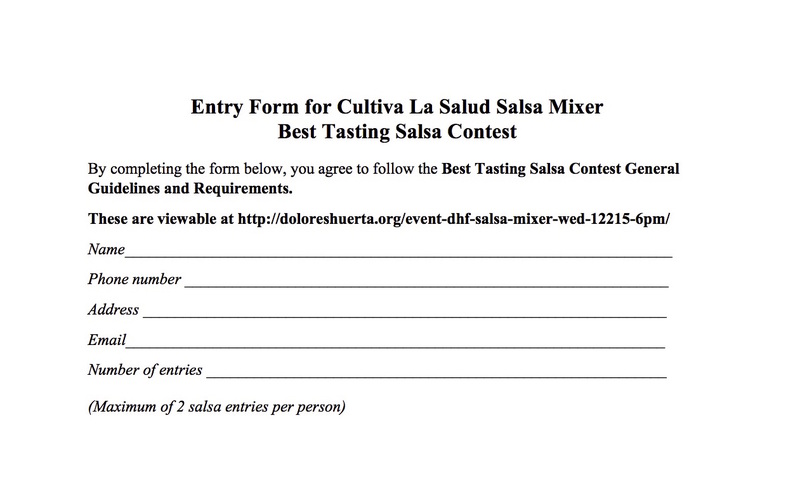 By completing the form below, you agree to follow the Salsa Contest General Guidelines and Requirements. 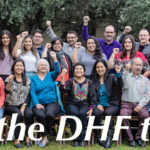 * Cultiva la Salud funding is provided by the Public Health Institute, through funding from The Center for Disease Control (CDC) This publication was supported by the Grant of Cooperative Agreement Number, DP005859, funded by the Centers for Disease Control and Prevention. Its contents are solely the responsibility of the authors and do not necessarily represent the official views of the Centers for Disease control and Prevention of the Department of Health and Human Services.